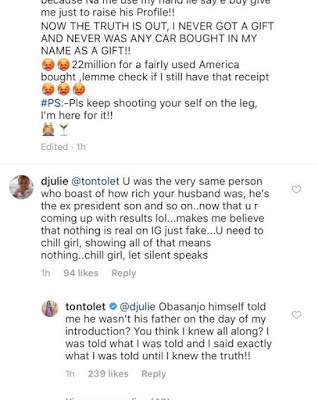 Actress Tonto Dikeh has revealed that ex-president Olusegun Obasanjo told her that Olakunle Churchill is not his son as widely reported in the media. 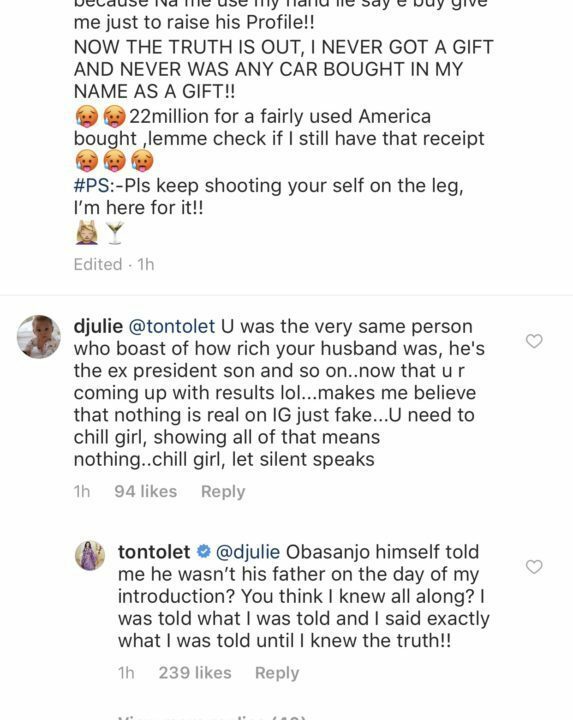 This latest revelation from Tonto Dikeh was sparked by a follower who mocked her for bragging of how she was dating an ex-president’s son when she started her relationship with Churchill. 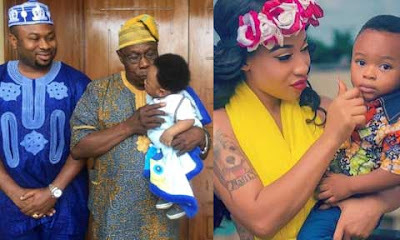 According to mother of one, former president Olusegun Obasanjo told her in person during her introduction ceremony to Olakunle Churchill that Churchill is not his son and he is not his father. 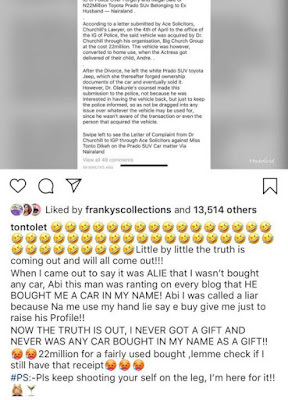 Tonto Dikeh, however, admitted to deceiving the public that her ex is Obasanjo’s son because she was also led to believe so. 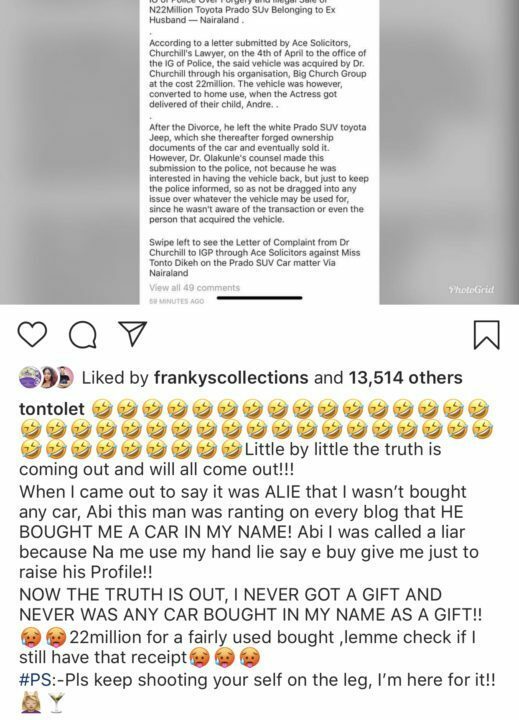 The actress further revealed that since the alleged report of illegally selling a Prado Jeep said to belong to Churchill was filed before the Inspector General of Police, her lawyers haven’t received any notice. She says that makes her believe that the whole allegation is all a media campaign of calumny against her.